The European Court of Justice in Luxembourg has announced in their ruling that the Polish logging activities in the UNESCO natural World Heritage and Natura 2000 Bialowieza Forest violated the EU laws. The official ruling follows the preliminary ruling that the Court announced in February. According to the Court, the deforestation in the protected area violates the nature conservation laws of the European Union. The Polish government ordered in 2016 a threefold increase of logging activities inside the commercial and protected zones of Biawieza Forest. According to the official statement from the Polish authorities, it supported damage control. The authority proclaimed that the logging activities would enable the management to control bark beetle infestations. However, the Court of Justice has dismissed this claim, as the Bialowieza Forest management plan considers logging to do more harm than the bark beetle. Still, foresters deforested many hectares in the UNESCO World Heritage. Official estimates state that about 150 000 trees were logged in 2017.
states the European Court of Justice in the Press Release 48/18. Last year, the European Commission already sued the Polish government for malpractices concerning the logging activities. Poland openly admitted to ignore the preliminary verdict of the EU Court and UNESCO regulations in October. In response, the European Court of Justice threatened to fine Poland with €100 000 per day, if logging practices continues. 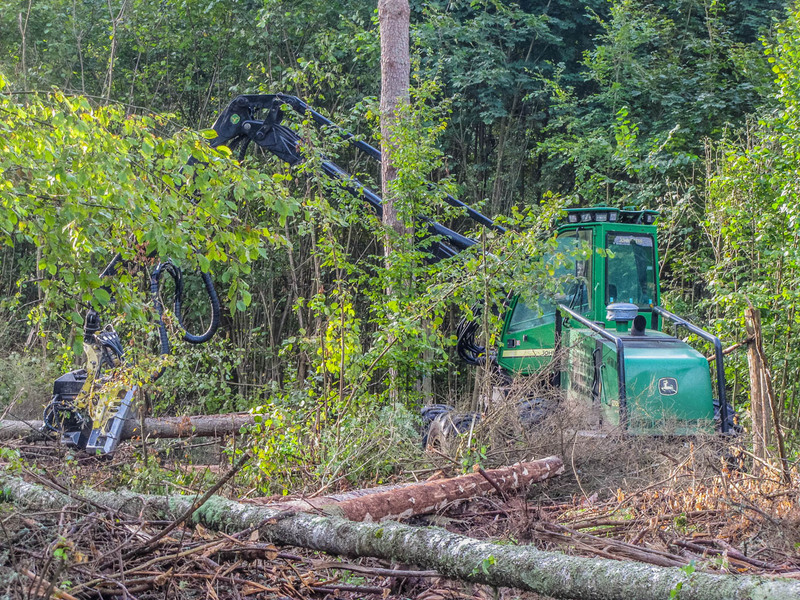 The sanction resulted in a stop of logging activities in Bialowieza Forest. However, according to the Polish government this was because the foresters supposedly reached the objectives. The deforestation in the UNESCO World Heritage and Natura2000 site led to many protests. The European Wilderness Society submitted to the European Commission an open letter to stop the logging. The removal old trees additionally threatened the continued survival of several other rare and protected beetle species. This is also one of the reasons why the European Court of Justice convicted the Polish logging activities. The ruling is a small victory for the nature conservationists among us. However, this will not restore the thousands of felled trees and damaged habitats. The Guardian states that the Polish government faces a fine of €4.3 million. Unfortunately, the case of Bialowieza Forest is not the first time that we witness illegal logging activities in Europe. Several countries like Romania, Slovakia and Ukraine use sanitary logging as an excuse for commercial harvest.